“The Seats in this (new) Church were on Thursday 2nd July allocated to the heritors and subscribers. The church and stone spire have been erected by subscription a voluntary assess on the heritors and is seated to contain 800. 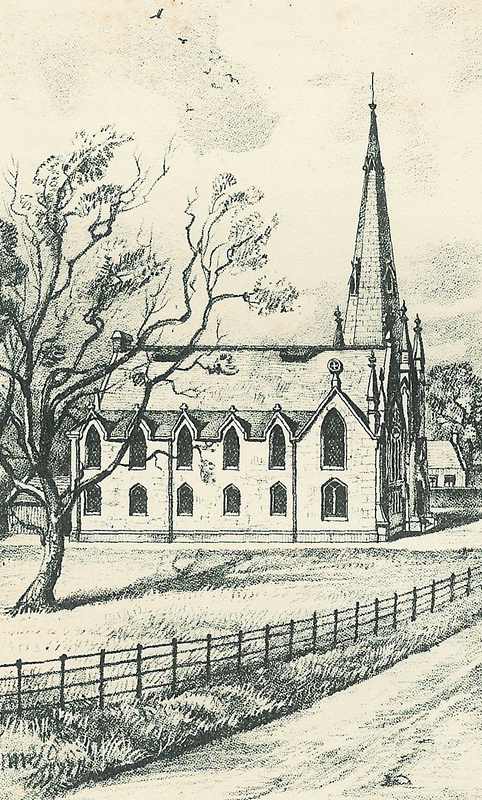 About 40 wooden pews have been set apart for the families of the heritors and subscribers and the remaining 60 pews, or 500 sittings, although apportioned amongst the same parties as owners, will be for the use of their tenants and fuears, as well as for the other parishioners. The Church Bell was presented to the Heritors of Blantyre Parish in 1863, by Mr. and Mrs. J.G Leadbetter of Leadbetter & Co. Founders, Glasgow. The bell fell into disrepair in recent years and was unsafe to ring. However, after a splendid fundraising campaign in 2013, the bell, (as well as the steeple) was renovated and rung out again on the morning of Sunday 22nd September 2013, the first time in approximately 9 years.